Wayne Ray Strode, 56, of Quinlan went to be with his Lord and Savior on Monday, January 14, 2019 in Quinlan. Wayne was born on October 19, 1962 in Albuquerque, New Mexico. He is the son of James & Marjorie Cherry Strode. He was raised and educated in New Mexico and graduated from Rio Grande High School. 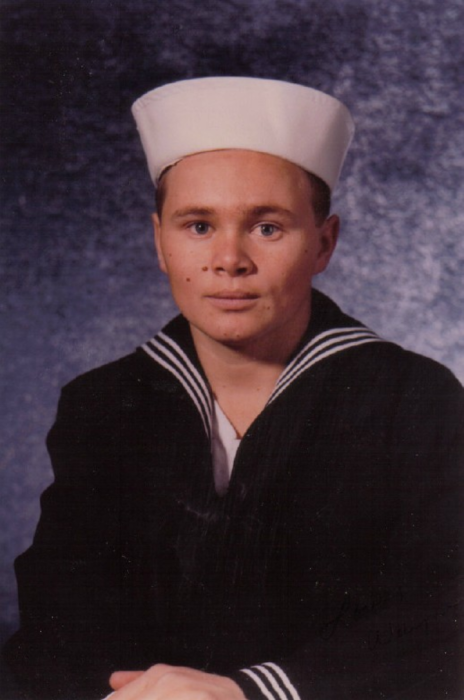 Wayne proudly served his country as a member of the United States Navy from January 8, 1981 through January 7, 1985. Wayne reconnected with the former Miss Lisa Oldham and they were married on September 9, 1985. They were blessed with a beautiful daughter in 1992 and they named her Jennifer. In 1995 they moved to Springfield, Missouri. After Jennifer married Shaun in 2013 and moved to Texas, Wayne decided to also move to be close to them. He was preceded in death by his brother David Strode. He loved his grandkids a lot and said that his grandson, Lincoln saved his life by being born and giving him a new reason to fight through his treatments. He owned a 1968 ‘Plum Crazy Purple’ Plymouth, Baracuda and it was his 3rd love. He spent a great deal of time working on and enjoying this car. Wayne dearly loved his family and being there for his grandkids. He is loved and will be missed by his wife Lisa; parents Jim & Marjorie Cherry Strode of Albuquerque, NM; daughter Jennifer & Shaun Belcher of Greenville, TX; brothers Danny Strode of Ozark, MO, Billy & Stephanie Strode of Albuquerque; sister Diana & T.J. Lamonte of Albuquerque; grandsons Lincoln & Duke Belcher; many nephews, nieces and other close family and friends.